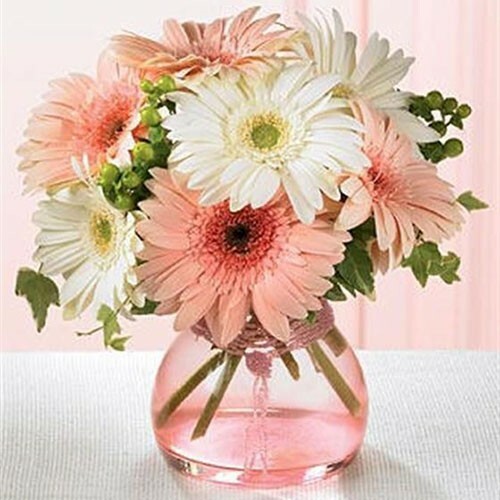 When it comes to showing appreciation at any occasion, this blushing bouquet made of 20 daisies in a vase shows it best. Its flowers are of very soft colors to signify the warmth and admiration in your heart. These daisies are sure to please anyone anywhere.